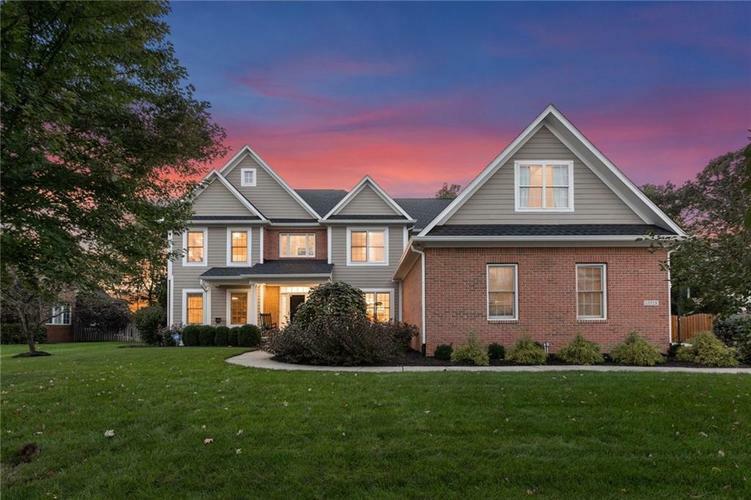 Classic Fishers home rests on lush lot with mature trees and ample space to run and play. Wide front porch welcomes guests and gives way to a beautiful custom home. Two story great room and sunroom boast large windows and are flooded with natural light. The open concept main level includes spacious chef’s kitchen perfect for entertaining. Large master suite is a wonderful retreat with vaulted tray ceilings, 2 walk in closets, large soaking tub and separate shower. Private back yard is equipped with large patio for enjoying. Home has been completely updated with new roof, furnace, water heater, carpet and paint. Wonderful home is move in ready! Directions:FROM 131ST STREET, GO NORTH ON CUMBERLAND RD. TAKE FIRST RIGHT ONTO WATER CREST DRIVE (ROSEWOOD SUBDIVISION). TAKE SECOND RIGHT TO REMAIN ON WATER CREST. RIGHT ONTO GRAPEVINE, HOME ON RIGHT.